Have you read these books yet? There are officially 10 days left before our Earlybird deal ends. If you haven’t signed up to lock in unlimited summaries at this price (forever! ), you can learn more here. However, like many others before, you might still be on the fence or unsure whether a subscription is really for you. And we get that 100%. *both hands may be raised if you’re from a charismatic background. After Ryan graduated seminary, he accepted the invitation to pastor Grace Assembly, a growing church in Houston, Texas. He and his family packed their things and made the move from Wisconsin within a month of his graduation. Ryan and his family immediately connected with the congregation and he eagerly poured himself into the ministry. A few months passed and Ryan already felt overwhelmed. He was in the middle of outlining next Sunday’s sermon when he received a phone call requesting an urgent hospital visit. He would have to reschedule dinner tonight with a couple he was counseling, but the rest of his nights were filled with staff meetings. It didn’t get less busy: on the weekend he’d flying to Utah to preach at a men’s retreat, flying back Sunday morning to preach, and then leading the New Members’ class in the evening. … and he hadn’t even thought about anything administrative. He glanced at the stack of books on the floor next to him; books that were recommended to him as must-reads. And that was merely the first stack of books. Ryan knew the importance of reading and learning — it was a discipline he constantly sought to cultivate within his family and now his congregation. He would lying, however, if he said he didn’t feel pressured at times to read more simply to keep up with others. Sometimes it felt as if every leader around him read twice as much as he did. He felt guilty for not reading as much. He felt less gifted for not being able to learn as quickly. And he already felt overwhelmed with all the responsibilities of pastoral ministry. Regardless, he knew he had to fight to grow in knowledge in order to grow as a leader, preacher, evangelist, husband, and disciple; he knew he had to fight for his time in study, but how? With some time before he had to leave for the hospital, he turned to Google and started his mini-research project to answer one question: how did other leaders find the time to read so many books? 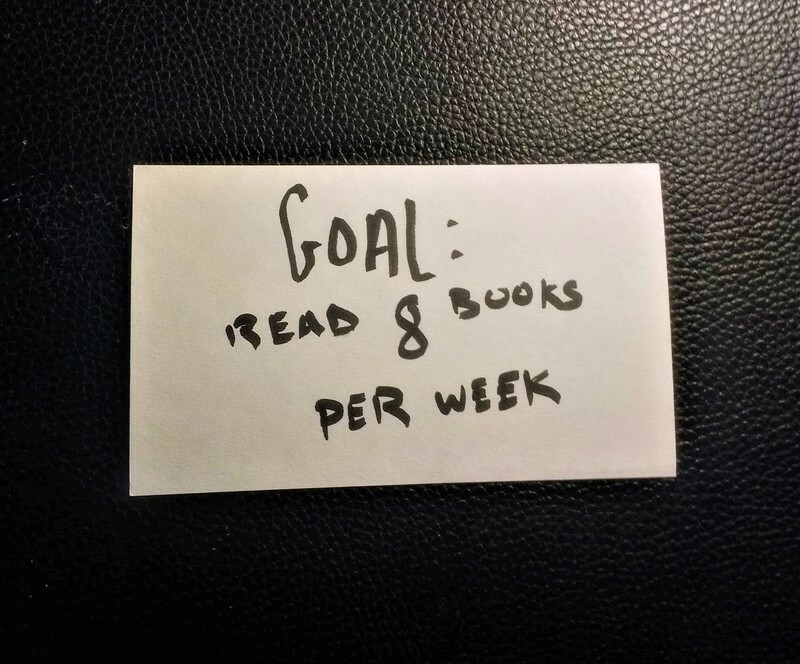 In tomorrow’s post, we’ll share the method Ryan discovered, what happened when he tried reading 8 books every week, … and why he ultimately had to stop. P.S. – What books would you add to that list of “must-reads for pastors”? P.P.S. – Spoiler alert: Ryan eventually does sign up for Accelerate in the end. So, if you don’t want to miss out on the Earlybird deal that ends in 10 days, you can secure your spot here!